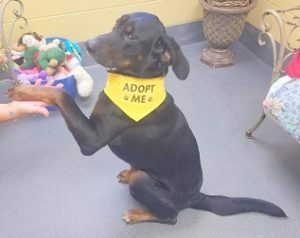 ZEPHYR…is a Great Dog from Amherst Humane in VA.
ZEPHYR’s a large, young Black & Tan Coonhound mix, weighing in at 75 lbs. He knows SIT & PAW. Kept his kennel clean & is good with other dogs. He’s improving his leash walking skills but still needs more practice refining his goofy, puppyish ways. 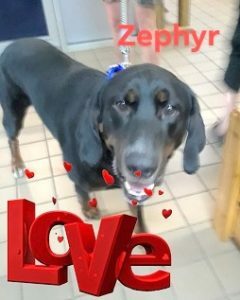 ZEPHYR is perfect for someone looking for a Hunk of a Hound with a pleasant & agreeable disposition. Last Hope would be “Much Obliged” if Big Dog Lovers came to meet ZEPHYR at Last Hope in Wantagh.